You'll be £19.99 closer to your next £10.00 credit when you purchase Jets at Sea. What's this? As World War Two drew to a close, jet-powered aircraft were beginning to be introduced into service. To take advantage of this major development it was necessary for all the world's air powers to rethink combat tactics and develop the means of handling these faster and generally larger aircraft in the air, on land and especially at sea. As this modern breed approached and finally broke the sound barrier, so did landing and take-off speeds. The decade after the war saw rapid developments in the design of both naval aircraft and their seaborne bases - the aircraft carrier. The first jet to land aboard a carrier was a modified de Havilland Vampire in 1945 on HMS Ocean. Progress was rapid and the application of British inventions such as the angled flight-deck, steam catapult and mirror landing sight soon became adopted by the major navies of the world. Naval aircraft too became more sophisticated by the addition of high-lift flap systems and strengthened undercarriages to allow them to operate more safely at sea. The author describes the development of these improvements and then their operational advantages in the Korean War and Suez. He goes on to describe the US development of a potential nuclear carrier-borne bomber, the French Navy and its withdrawal from Vietnam in 1954 and then the use of naval aircraft for anti-submarine work. The decade after the war saw rapid developments in the design of both naval aircraft and aircraft carriers. This book looks at the many design breakthroughs that were made internationally. 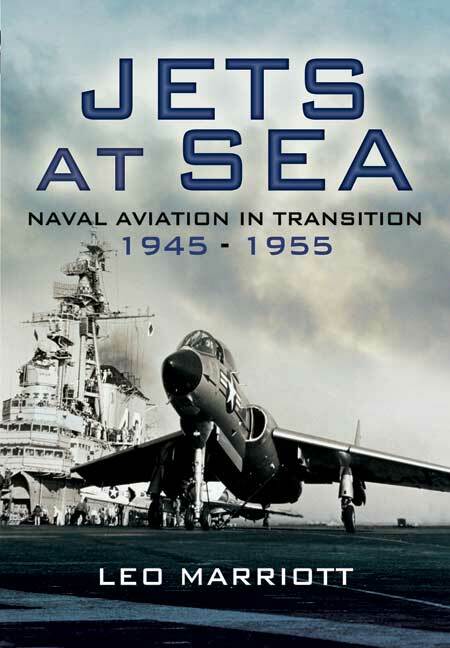 Leo Marriott is one of Britain\'s most respected authors on naval history. He has written over 30 books on ship design and naval warfare. He is a keen yachtsman and lives in Somerset.